TIME & COUTURE: We've entered the Cosmopolitan Blog Awards 2014! 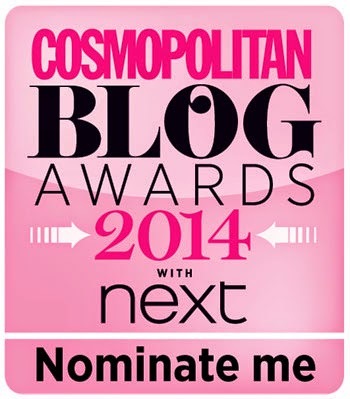 We've entered the Cosmopolitan Blog Awards 2014! Yes, we have entered the Cosmopolitan Blog Awards 2014. We hope that you'll think of us, as deserving of the Best New Fashion Blog title. We are over 12 months old (including my Tumblr).